The books are funded by a UK Inclusive Excellence Grant. 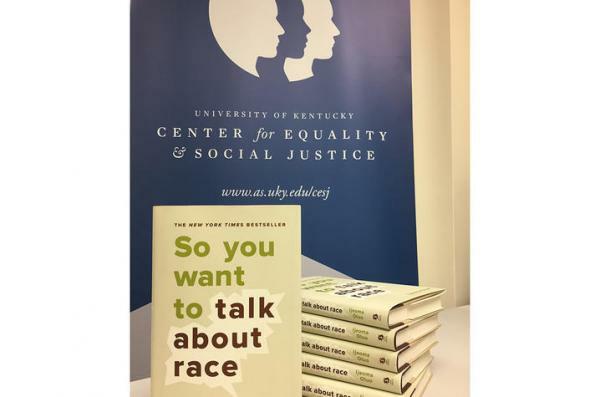 The CESJ collaborated with the Martin Luther King Center and the Department of African American and Africana Studieson this book discussion. Oluo will discuss her book on campus Tuesday, March 26. The first event is a social justice book club meeting with free food at noon. She will then give a campus-wide address that afternoon at 3 p.m. The address is open to the public and reading the novel is not required. For more details, visit the event website.